Second Vision was around from 1989 to 2004 – 15 years of music, marked with numerous highlights. The band recorded three CDs and played numerous national and international clubs and festivals, including North Sea Jazz. Second Vision collaborated with artists such as Dianne Reeves, and did several tours with vibist Mike Mainieri. The line-up remained the same for the last nine years. 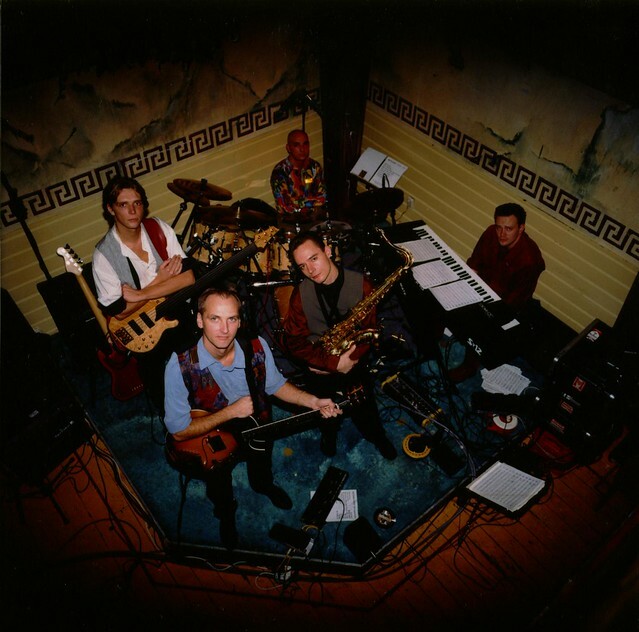 The band enjoyed a long history, originating from the fusion band Last Resort. Led by vibraphonist Carl Schulze, Last Resort was very popular at the end of the 1980s. Schulze’s group had its roots in the fusion music of the 70s, inspired by Weather Report, Miles Davis, Steps Ahead and similar groups. Second Vision’s main challenge was to continue the exploration and development of this musical style. After various personnel changes, the definitive line-up was realized, consisting of the best Dutch guys in the genre, bound by their shared love for Marnix’s 18-carat energetic and groovy compositions. It’s clear that Second Vision attained a very high level of musicianship, which can be experienced to this day by listening to their live recording, ‘Visionary Live’. The band’s growth went into high gear with the release of their last album, ‘It’s All In The Mind’. Two very special guest soloists joined the group for this recording: Renown vocalist Dianne Reeves, and vibraphonist Mike Mainieri. The band also featured Dianne Reeves at the 2003 North Sea Jazz Festival, and Mike Mainieri joined the group for two extensive tours, which contributed to the band’s increasing international allure. In one of the many reviews of the band, Jazz Nu stated: “The compositions are extremely convincing. Virile and tasty, the jazz feeling is in no way watered down or reduced by the use of rock elements. Instead, pop, rock, and even world music are used here to inspire and transfer jazz into a high energy elixir”.